The set of threads that travel from the front of the loom to the back is called a warp. This needs to be made separately before it is placed on to the loom and this is what I am going to talk about in this post. The warp sets the length, width and density of the fabric. It makes up half of the threads within the finished woven fabric as it will become all of the vertical threads in the finished woven fabric. Before making the warp I have to decide exactly how much fabric I need to weave, the length and width. Normally I will weave several pieces of fabric from one warp so this needs to be planned first. The density of the fabric needs to be worked out which is the number of threads in every cm of fabric. This is very important because if the fabric is too open then it will not hold together when being made into a teddy bear and if it is too dense then the colours of the yarn will not show evenly in the finished hand woven fabric. 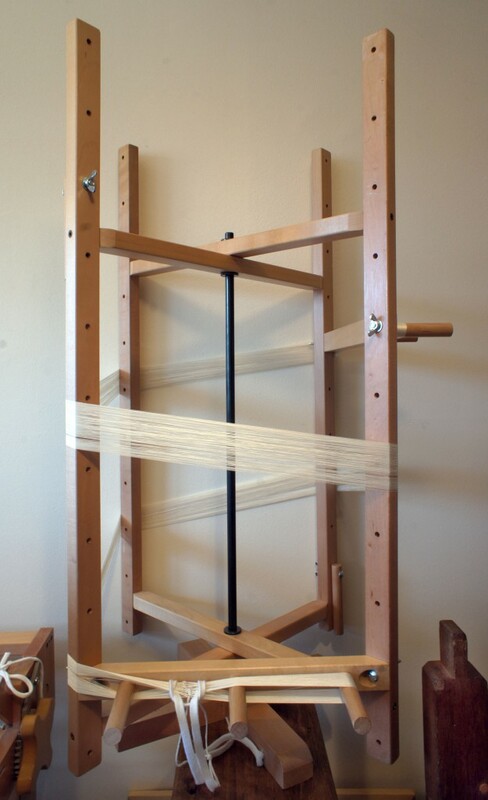 I make my warps on a warping mill which allows me to organise the right number of threads in to the length required. The number of threads varies and can be up to 800 for my teddy bears. 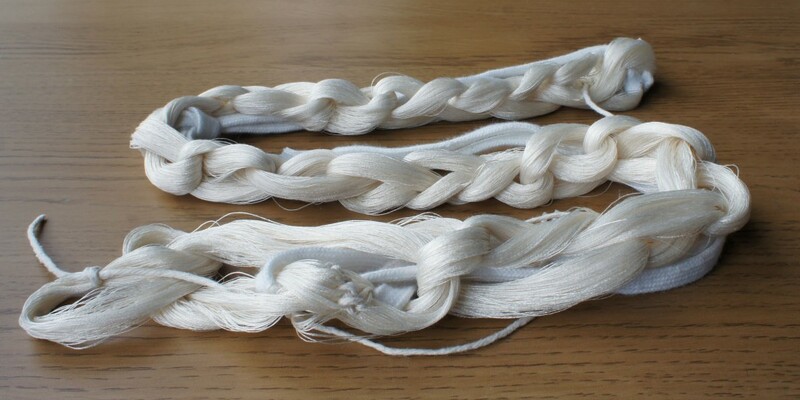 Depending on the thickness of the yarn and the length/width of the fabric to be woven this often takes between one and half and three hours to complete. 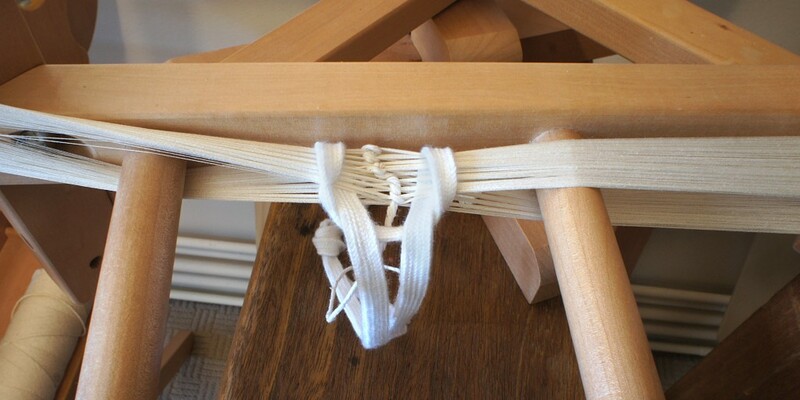 Once complete the warp is removed from the warping mill and chained (see image below) to ensure it does not tangle. This is now ready for the loom.